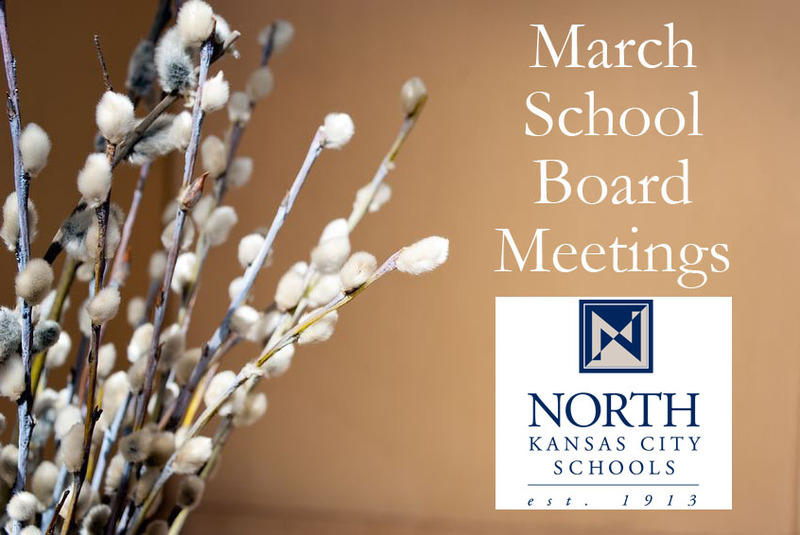 The North Kansas City School District’s Board of Education will meet Tuesday, March 28, at 7 p.m. In addition to routine items on the agenda, such as purchasing new computers and overseeing personnel changes, board members have a full schedule tonight. Probably the most significant education policy item on tonight’s agenda is discussion of district finances, including the sale and refinancing of school bonds and whether to increase taxes for residents. Because of declining property values, North Kansas City may have to increase its tax levy. However, the district may be able to take advantage of more favorable interest rates in order to refinance existing debt, possibly saving enough money to avoid a tax increase next fall. Even if the district is able to refinance, though, district administrators caution the board may still need to increase property taxes sometime soon. Also tonight, board members will discuss what to do about making up the one snow day from this mild winter. Adding one day to the end of the year means students would have to attend class the Tuesday after Memorial Day weekend. District administrators have asked teachers if they would be willing to give up a professional development day, allowing students to finish the school year before the holiday.